This is part eighteen of a series. Read part seventeen here. Now that I am wrapping up my discussion on IoT, it feels that there is something I have missed; and that is a peek into the future as I see it. Much of the discussion over this blog series has had a theme of performance and power dissipation. The IoT system (or system of systems) needs to be optimum across the clouds, through the aggregators, and down to the smart sensors. 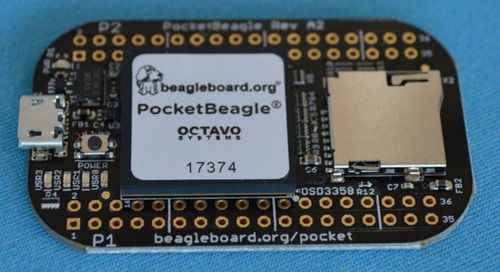 In the near future, aggregators of today like the OSD335x System-in-Package, will become smarter, smaller, and lower power while enveloping much of the functions of the clouds and smart sensors. The bigger hurdle of the IoT future will be in how we process all of this data we are collecting to get interesting information and take the appropriate actions. 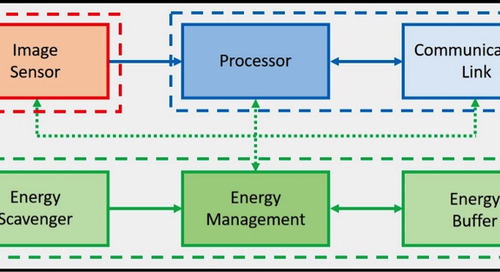 Further, we will need to do it efficiently, in real-time, while not throwing more energy consumption and performance at it. For our roadmap to the future to make the necessary big leaps, we will need to make some fundamental changes. Perhaps this is the time for me to introduce my thoughts on how performance will increase at the same time power dissipation will decrease. Allow me to do this from the perspective of my background: digital signal processing. Many years ago, I was asked to help my boss put together a presentation he was to make at MIT. I proposed a title of “TI made a ‘D’ in Signal Processing and is proud of it”. I think it is time for us to bring that grade up to an “A”. Allow me to present my challenge for IoT in a more generic way. Is it possible to obtain infinite performance while dissipating no energy in a dust sized package? And let me suggest we know how to do it already. 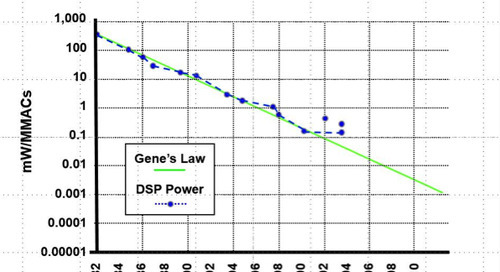 As I have said many times in the past “DSP is dead, long live DSP”, I now have to correct it to say “DSP is dead, long live Signal Processing”. Just how crazy do you think I am (limit your discussion to my thoughts on analog signal processing)? 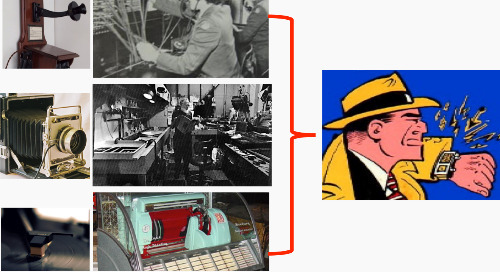 Where would be the first place you would consider using analog signal processing rather than digital signal processing? Why? Do you have a guess as to how much performance gain could be realized by going to analog signal processing? 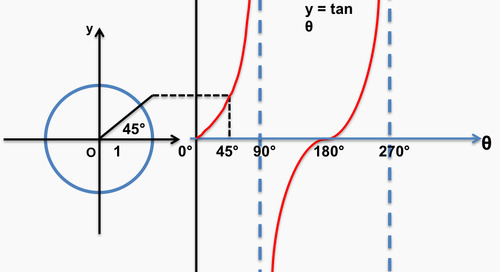 Do you have a guess as to how much lower power dissipation would be realized by going to analog signal processing? 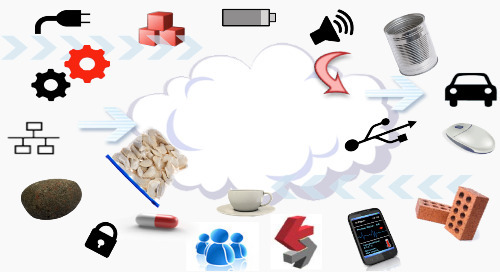 It was several months after I had heard the phrase “cloud computing” and, in fact, it was the concept of the Internet of Things which cleared up my working definition of cloud computing. As I see it, the Internet of Things is a system of systems. Each of its three components (the cloud, the aggregator, and the smart sensor) are, in their own rights, systems. the IoT is made up of three systems: the cloud, the aggregator, and the smart sensor. 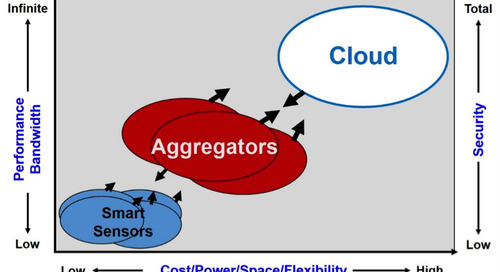 But then, there might be a case where the aggregator looks more like a smart sensor than an aggregator. At first glance, the aggregator appears to be the unnecessary component in the IoT. The simplest description of an aggregator is that it is a self-contained computer system. 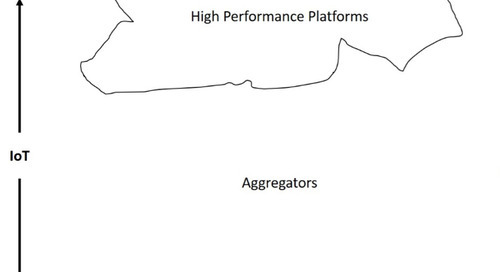 How does an aggregator talk to the rest of the IoT? The continuing shrinking in size of the aggregator will happen as we learn to improve on power efficiency and wireless communications. Should the term “cloud” should be singular or plural? It would seem that geography, language, and culture would separate the clouds. The term "cloud" seemed to trivialize all the technology I had spent my career working on and the sophistication of the system I had come to deeply appreciate. The cloud seems to provide us with infinite communications bandwidth, infinite performance, and total security. All these assumptions are lies. 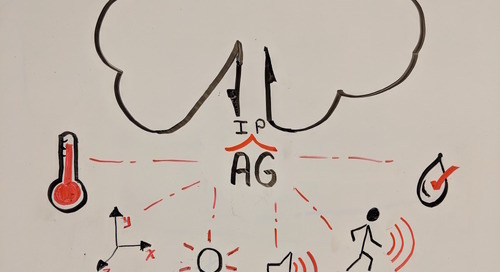 When thinking about the IoT systems, I conclude that each of the three systems – the cloud, the aggregator, or the sensor – will have a different class of components. How do smart sensors fit into the IoT ecosystem? We were intrigued with the concept, but the concept of smart dust begged several questions about the idea of a smart sensor. 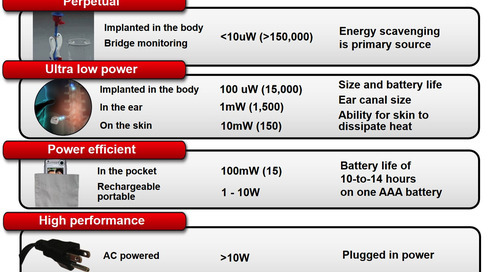 What are the components of a smart sensor? 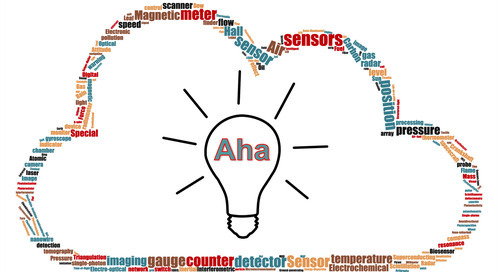 The ultimate goal of a smart sensor is that it be completely autonomous. That means it sources its own energy, performs all of its functions and communicates with the outside world wirelessly. It surprised me when I realized that as much as I was trying to convince people that power dissipation was important, I was being ignored. My last request of them was to get their input on how we could create devices that ran on “body heat”. I believe they were catching my vision while privately labeling me as crazy. When discussing wireless communications, I often ask people what the first wireless communications system was. I seldom get the answer I am looking for, as most do not understand my question. It seems we are conducting ourselves similar to that of a junior high dance where the signal processing people are on one side of the gym and the IC architects are on the other side of the gym.